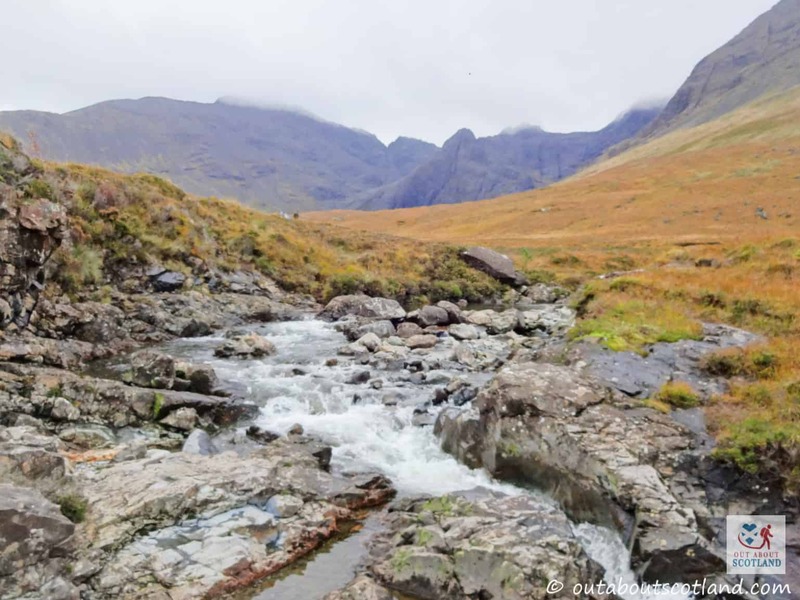 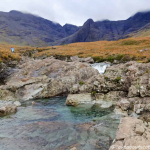 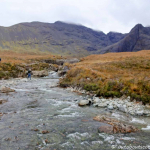 If you visit the Isle of Skye then you have to visit the Fairy Pools, the beautifully clear crystal-blue pools of water that lie at the foot of the Black Cuillin hills. 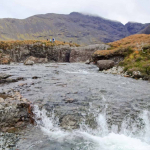 These pools have become something of a mecca for nature-lovers, and tourists from all over the world come to walk along the path that follows the River Brittle as it runs off from the imposing hills that sit hunched behind it. 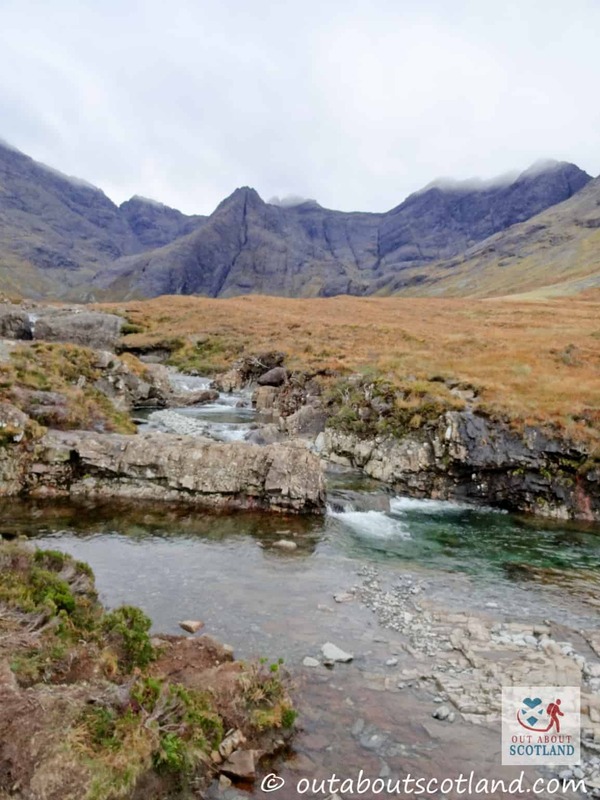 The complete return walk to the first pool is only around 1.5 miles although there’s a bit of a scramble across some stepping-stones in places, so anyone with mobility problems might find it a bit difficult, but those visitors that do make the journey into this area of outstanding natural beauty will be well rewarded with one of the most interesting walks on the entire isle. 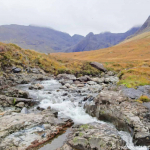 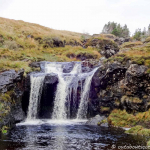 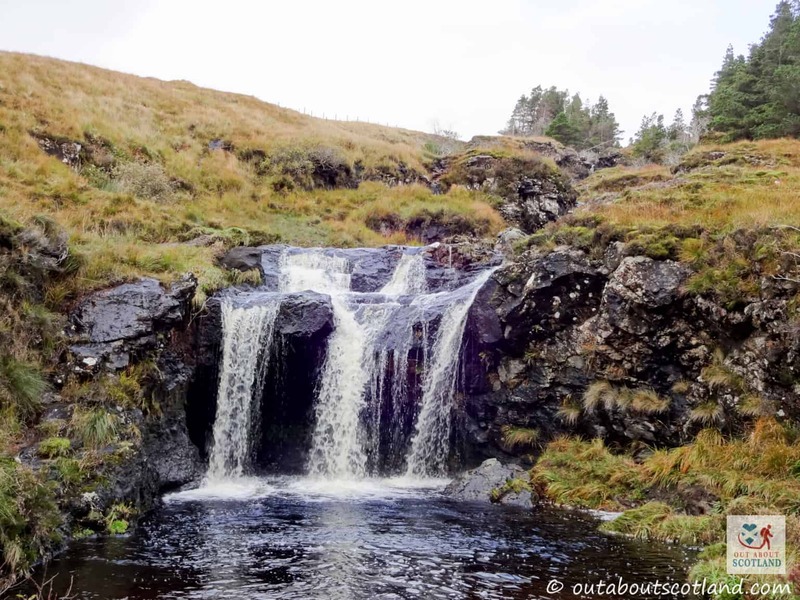 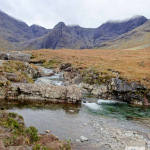 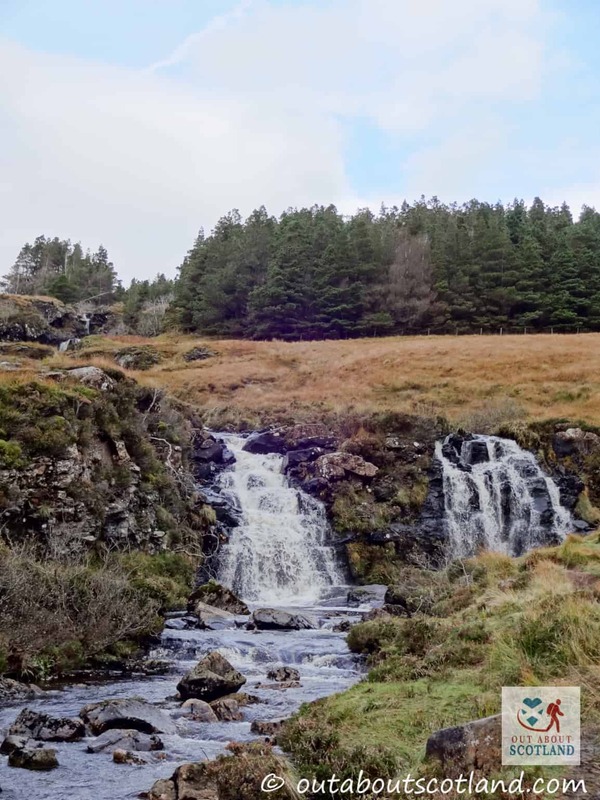 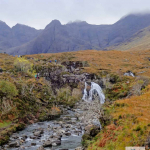 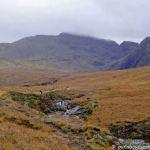 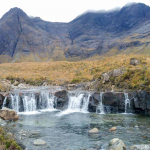 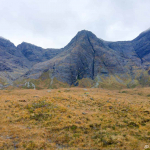 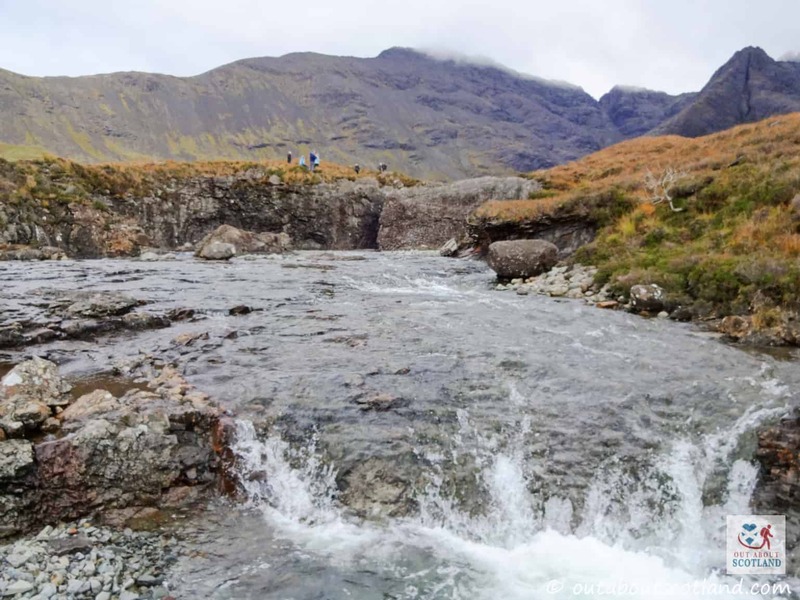 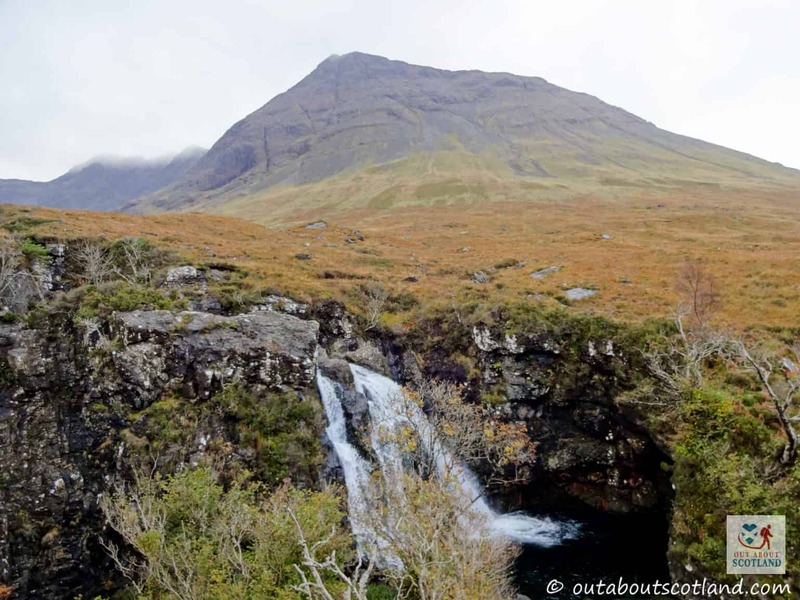 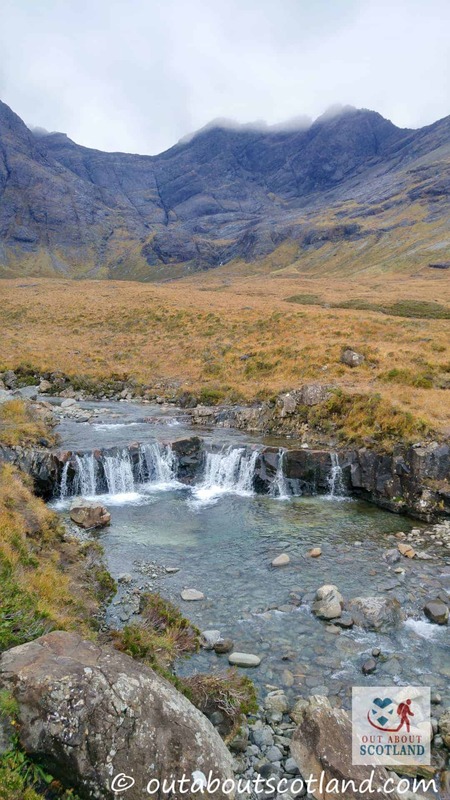 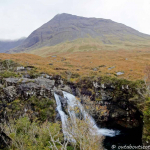 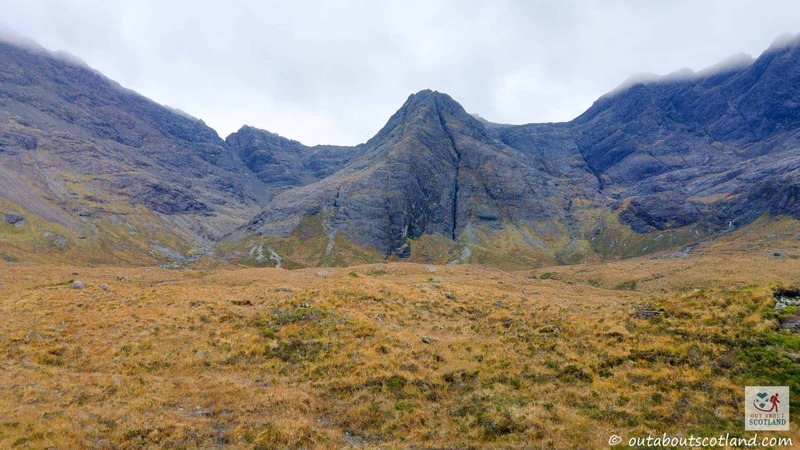 If you drive to the pools then simply head to the village of Carbost in the west of Skye and follow the signs to the Fairy Pools which are situated in Glen Brittle, a lovely drive which only takes around 15 minutes. 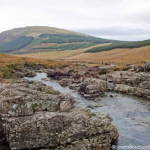 As you approach the glen you should see a sign pointing to a Forestry Commission car park from which you can park up and take the short walk out to the pools. 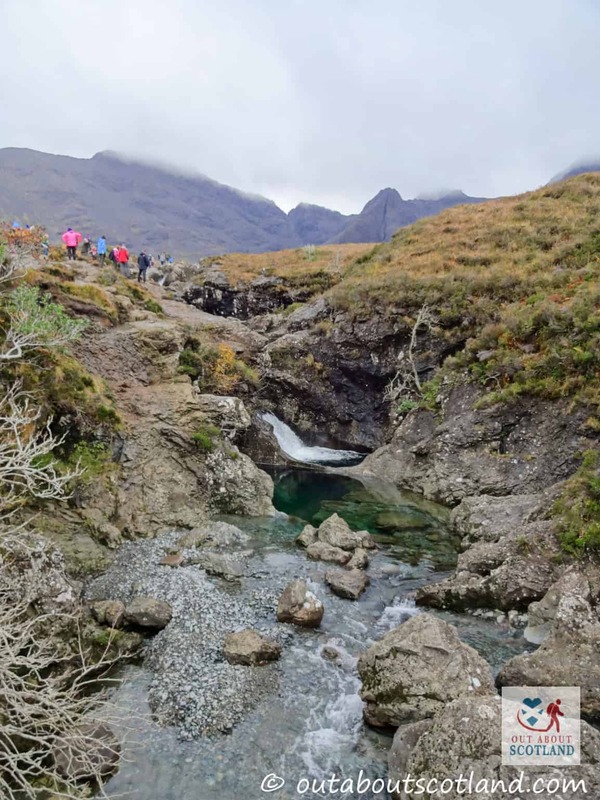 Be aware though that the pools are one of the top attractions on Skye so they can get phenomenally busy at times, with tour coaches lining the road for quite a distance in either direction so you’d be well advised to get there early. 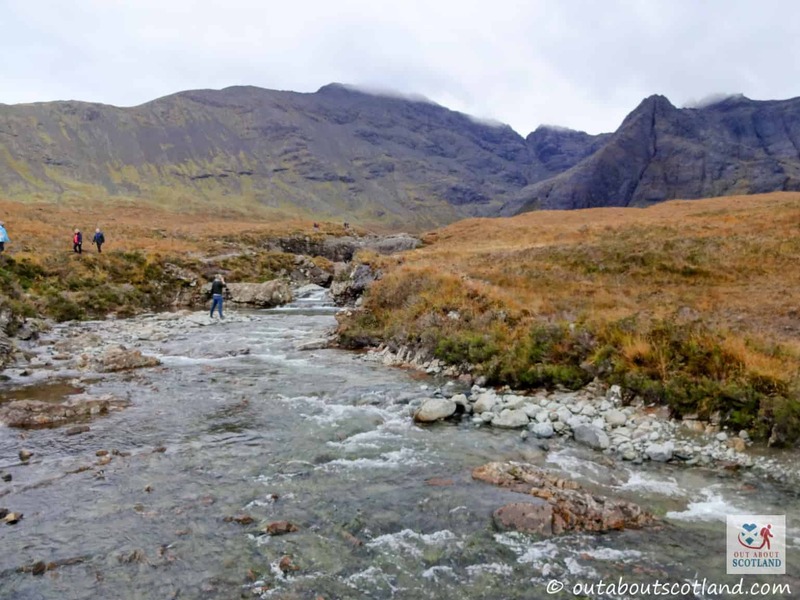 The walk towards the foot of the Black Cuillins is fairly easy at the beginning as there’s plenty of natural rock underfoot and there’s a well-maintained gravel section, but later on you’ll find yourself having to hop over several sections that cross the River Brittle, where the ‘bridge’ has been made out of rocks thoughtfully plonked down at key locations. 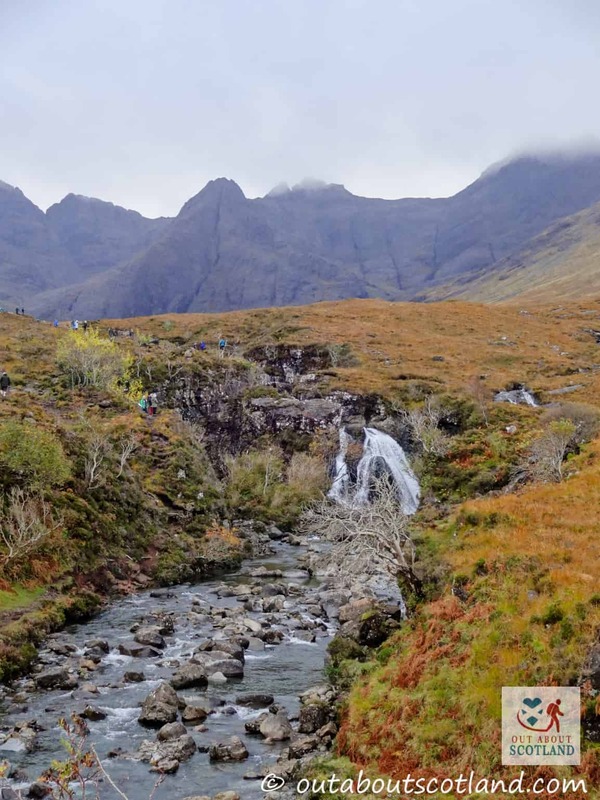 The downside to this is that the rocks can get a bit slippery, especially if it’s been raining, so unless you want to spend the afternoon walking around with wet socks I’d highly recommend donning a pair of waterproof boots. 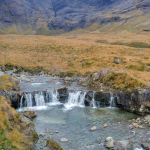 You can’t really get lost on this short walk as it’s obvious where you have to go and there’ll probably be a hundred other tourists to follow as they make their way to the first waterfall, but please make sure you take the time to stop and take in the beautiful Glen Brittle along the way. 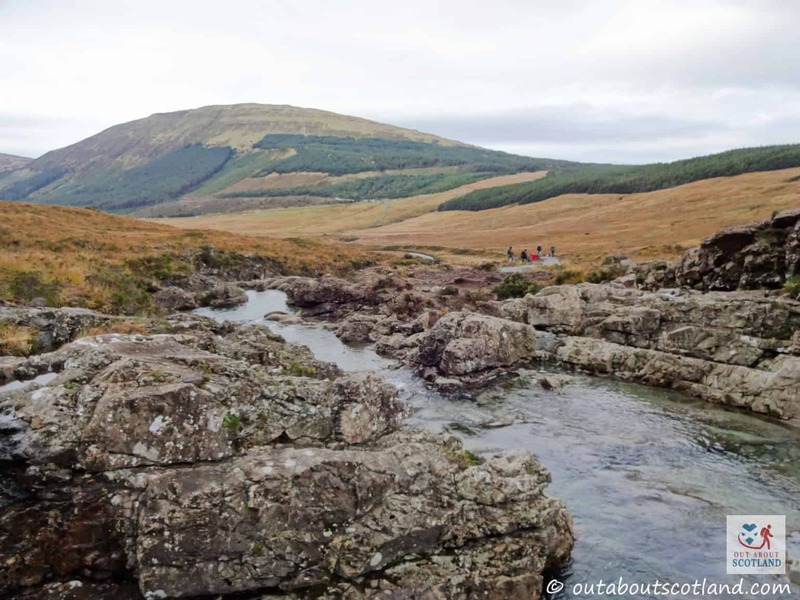 Everyone seems to be so focused on getting to the first pool that they miss the beautiful vista of the heather-filled glen and the absolutely massive bank of hills rolling away on either side, and there’s loads of bird life to watch soaring above the forest if you bring your binoculars with you. 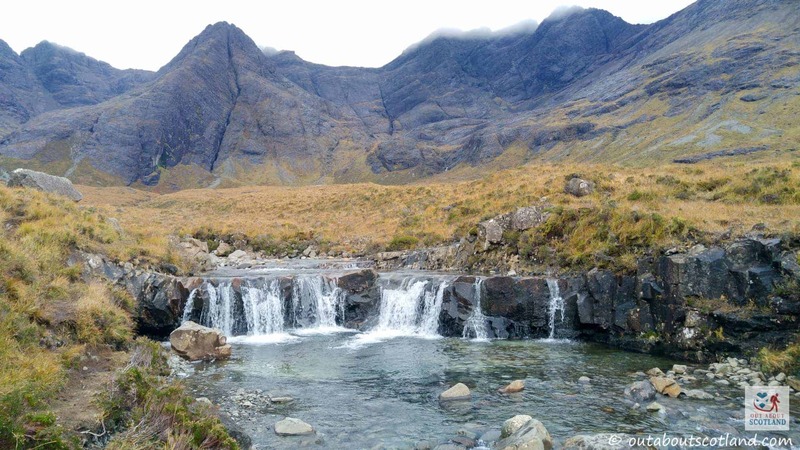 The pools are situated along a stretch of river that slopes down at quite an angle away from the Black Cuillins, and at each pool there’s a waterfall of crystal-clear water plummeting into it. 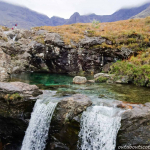 Because the water is so clear it shines with the deepest blue/green colour you’ve ever seen (at least when the sun shines), and it really does look enticing. 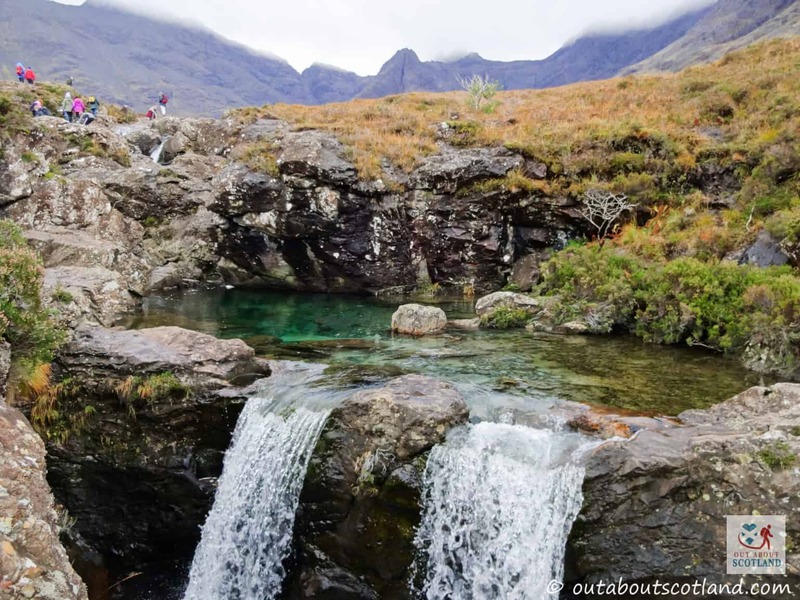 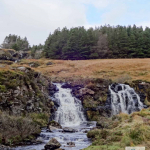 In fact, I bet you’ll find a few hardy/crazy souls swimming in the pools when you get there, especially at the first pool you encounter as it’s deep enough that you can jump into it from the waterfall above, although even in summer the water is going to be abso-bloody freezing. 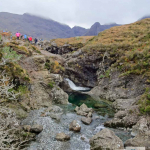 The second pool is also good for swimming as there’s a natural underwater arch that you can pass through, and you’ll find several other smaller pools all the way along the route as you continue on towards the hills. 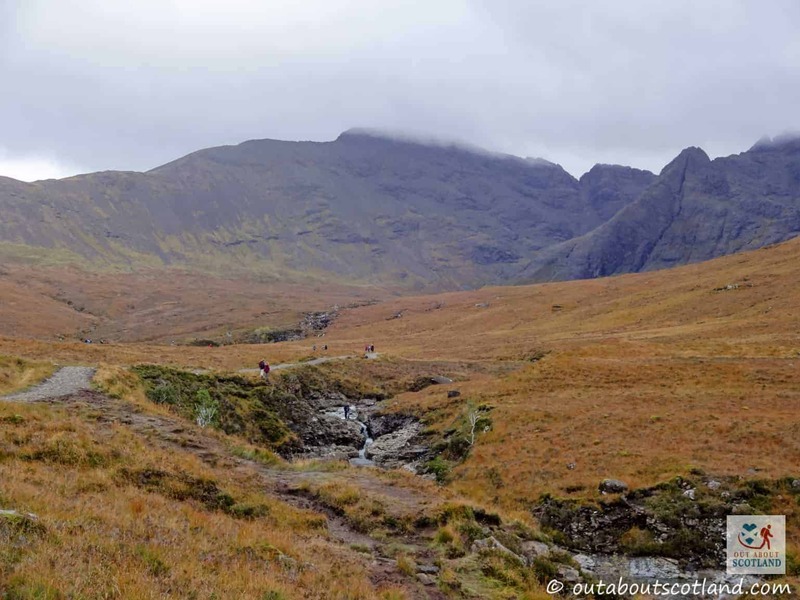 This path actually leads right into the Black Cuillins so you can continue on for quite a decent hike if you fancy it, or you can simply turn around for the 30-40 minute walk back to the forest car park. 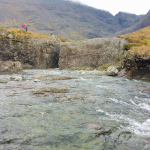 You can go swimming in them! 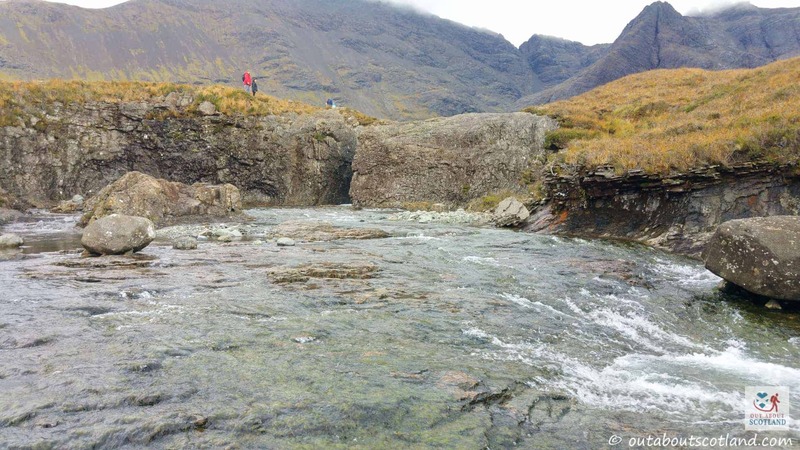 There is no entry fee to visit the Fairy Pools. 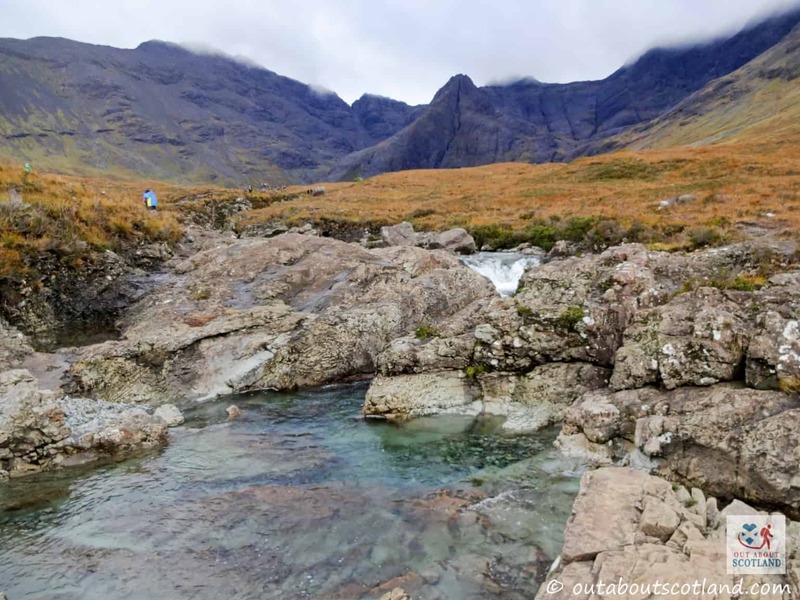 The Fairy Pools are open 24/7, weather permitting.